In its latest report Pulling Together, the CBI identified that 78% of companies view improving their supply chain as important or very important to their future growth. From their perspective, a stronger domestic supply chain helps to guarantee security of supply, makes it easier to advance technology through collaborative innovation, and enables a faster response to changing market conditions and customer needs. As a result, both sectors and individual companies are looking to increase the proportion of products and services sourced from the UK. Building stronger UK supply chains will help rebalance the economy by boosting growth in the manufacturing sector. This will not only help to improve the UK economy’s overall productivity, but also foster growth across all the UK’s regions, particularly here in the North East. Stronger supply chains will also benefit people, as well as businesses, because the diversity of activities they support create a more evenly distributed range of jobs across all skills levels compared with other sectors. However we have identified six challenges to overcome if UK supply chains are to compete on the basis of quality innovation and service, and reinvigorate our industrial sectors. First, both the public and private sectors must invest more in R&D to prevent us falling further behind our international competitors. The UK is currently underinvesting by a widening margin relative to many other western economies – France’s investment in R&D outstrips the UK’s by nearly 40%. We must raise the level of our R&D investment to at least match that of our rivals. Second, we aren’t producing enough people with the right skills. While all businesses must contend with these shortages, it is often lower-profile and smaller ones that struggle to compete for the limited resource or set up their own training programmes. Third, we need a more flexible and dynamic environment. Getting electricity, registering property and dealing with construction permits needs to be easier. Fourth, our foundation industries – such as plastics, metals and chemicals – suffered more acutely during the financial crisis than the wider manufacturing sector and businesses report difficulties in sourcing a number of key materials for their products. We must not only ensure we have capabilities in materials currently used in production but also ensure the UK capitalises on new and innovative materials technologies that will be used in productive supply chains of the future. Fifth, we will not produce more innovative supply chains without investment, and businesses themselves must take a longer-term view to prioritise this. And sixth, companies and public bodies need to buy in to the importance of value, not just cost. 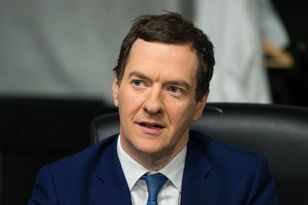 Too often, the public sector to make decisions based primarily on narrow definition of ‘value for money’ rather than the value generated to the UK through, for example, expanding the tax base.